Your business needs to be able to trust and rely on the people that handle your warehousing, no matter what the job is. At Am Trans, we have the experience, training, skills, and equipment to handle any and all of your warehousing needs. If you want to know more, get in touch with us. 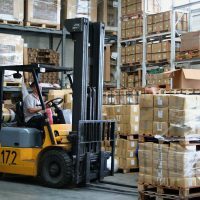 From retail merchandise to chemical supplies, we’re equipped to meet your storage needs, whatever they might be – and shipments can leave our warehouse the day that they’re called in. 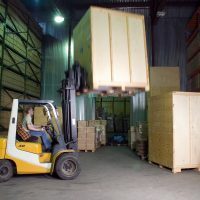 We’re prepared to haul freight straight from the manufacturer or importer to your clients’ stores, cutting out unnecessary time and expense spent on storage. Not every shipment takes up a whole truck, and our clients shouldn’t have to pay for more cargo space than they use. Am Trans can move LTL shipments quickly and affordably. If your order does need a whole trailer-load, or if you’d simply prefer it, you can contract an entire trailer from Am Trans to haul your cargo. Am Trans has refrigerated trucks that will keep your merchandise cold so your clients can keep their cool. We’ll ship them as quickly as possible, minimizing the time spent between the warehouse and their destination. Not all cargo can fit into a shipping container. Our company and our seasoned drivers have what it takes to move heavy, oddly shaped cargo that requires a flatbed. Oversized loads take skill and specialized equipment to haul safely and in a timely manner. Our experienced drivers can handle any oversized freight, from wind turbine blades to industrial equipment. Trains are often the most efficient overland shipping tool available. We specialize in moving cargo using both trucks and rail for the most effective and efficient way to deliver it to your clients. We can transport automobiles safely and quickly, so that your vehicles can be on the showroom floor or your lot as soon as possible. If you need to move a small load, or need to move some cargo as quickly as absolutely possible, you might want a hotshot. There’s no faster way to move cargo short to medium distances. We’re experts at shipping for retail distribution – including re-packaging goods from stocks to fulfill individual orders. We are not simply a warehouse service provider. You can also use Am Trans as your distribution and inventory management center. We can store your inventory for you and order new stock when they run low. 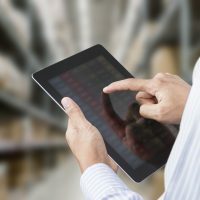 We’ll even work with you to maintain and monitor your inventory. Am Trans is a trucking company offering the latest in technology, equipment, and services to ensure your products and shipments arrive on time, every time, across town or across country. Our Mission has always been simple, to provide exceptional quality service and add value to the supply chain at competitive prices to all of our valued customers.